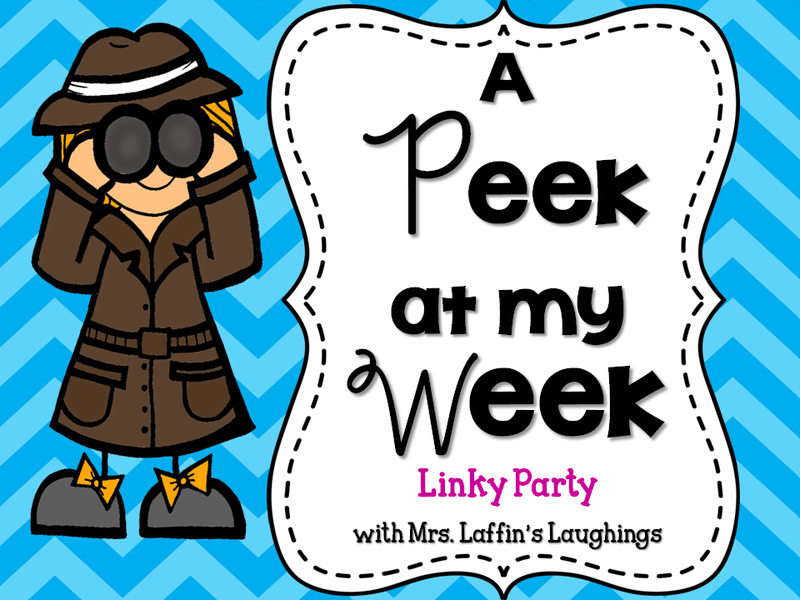 I'm linking up with Mrs. Laffin's Laughings for her linky party. I'm a bit late to the game...since it is Friday...but I'm going to tell you about this past week and this upcoming week! 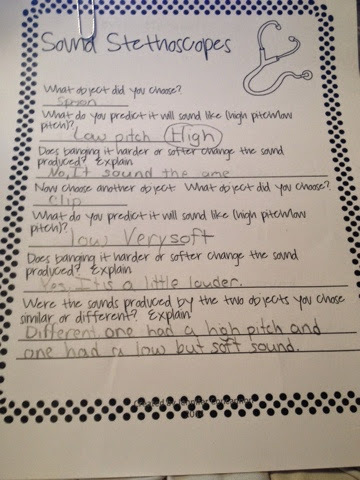 In science we have been working on sound. I posted about this on Wednesday. The students made their sound stethoscopes and got to try out their own as well as their classmates stethoscopes. They filled out these observation sheets during their rounds. They had to at least try two objects, but could do as many as they wanted to as long as they finished this assignment. They were obsessed! All of my students continued trying out each other's items. It was awesome to walk around and hear them using the science terms we have been learning about. So many of them came running up to me asking me to test out their items. Since it's poetry month and we are studying sound (...coincidence? Yeah, but it's a great one!) 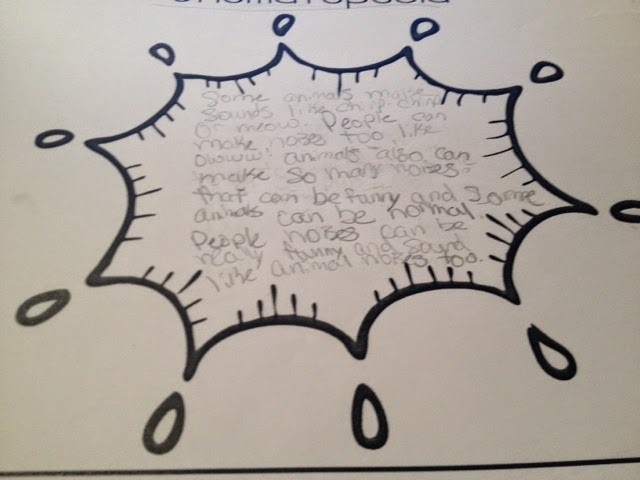 we also discussed onomatopoeia. After working on this I sent the students off to put it into practice. They came up with some pretty cute poems in my opinion. This one is short, but adorable. The picture of the bee just adds to the cuteness of it all! This poem is clearly longer and it is also adorable! I was impressed with their products. 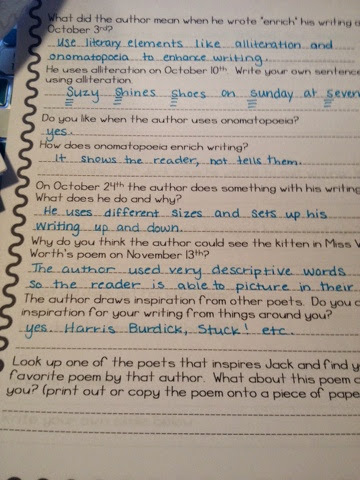 We began our Hate that Cat unit and started reading aloud and answering questions in the comprehension packet. 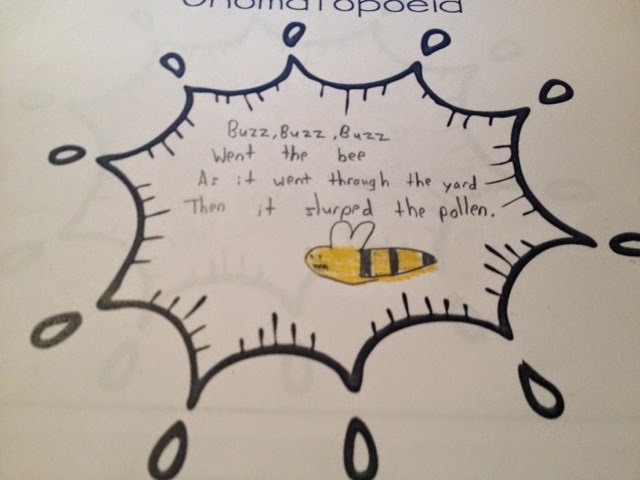 I was calling on my students to read aloud and one of them began to sing the words from the poem. It was hilarious, but it also was the perfect segue into our next activity. I honestly couldn't have planned it better myself. We talked about how music is poetry in song form. 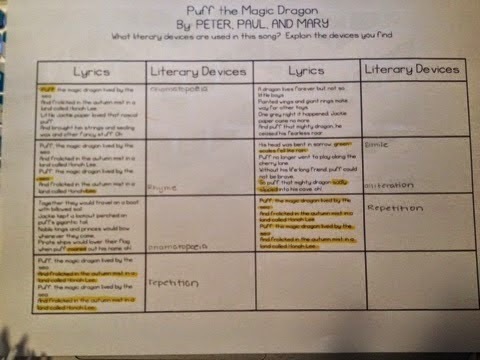 I passed out this paper with the lyrics of "Puff the Magic Dragon" by Peter, Paul, and Mary on it. We listened to the song through once and read through the lyrics stanza by stanza. We have only just begun highlighting the literary elements in the song, but the kids were having a blast and can't wait to continue. I'm excited for this upcoming week since it's a short week and then I have SPRING BREAK wooo! I will also be at the Bruins game tomorrow, which is the final game of the regular season. I.Cannot.Wait!!! Go Bruins!